Northeast Ohio is rich in natural and historic resources including beautiful lakes, streams and waterfalls; unique geologic landscapes; inspiring forests; and historic lighthouses, mills, and buildings. One of Western Reserve Land Conservancy’s most important roles is helping local park systems and communities preserve these essential natural and historic assets for the public to enjoy. You may not always hear about our work behind the scenes, but Western Reserve Land Conservancy is instrumental in creating public parks and preserves. We collaborate with many partners and leverage our expertise in real estate transactions, conservation easements, legal work, and fundraising to do this important work. Turkey Creek Estuary Metropark, Ashtabula County: The Land Conservancy partnered with Ashtabula County Metroparks to permanently conserve 602 acres in the City of Conneaut. The impressive property boasts nearly one mile of undeveloped Lake Erie shoreline, a natural estuary, and more than 230 acres of high-quality wetlands. Read more. Forest Ridge Preserve, Cuyahoga County: Totaling 133 acres, Forest Ridge Preserve in Moreland Hills features approximately 3.5 miles of marked walking and hiking trails for visitors to enjoy. Hoffman Forest MetroPark, Erie County: The 40-acre Hoffman Forest MetroPark was permanently acquired and conserved by Erie MetroParks with the help of the Land Conservancy. Read more. 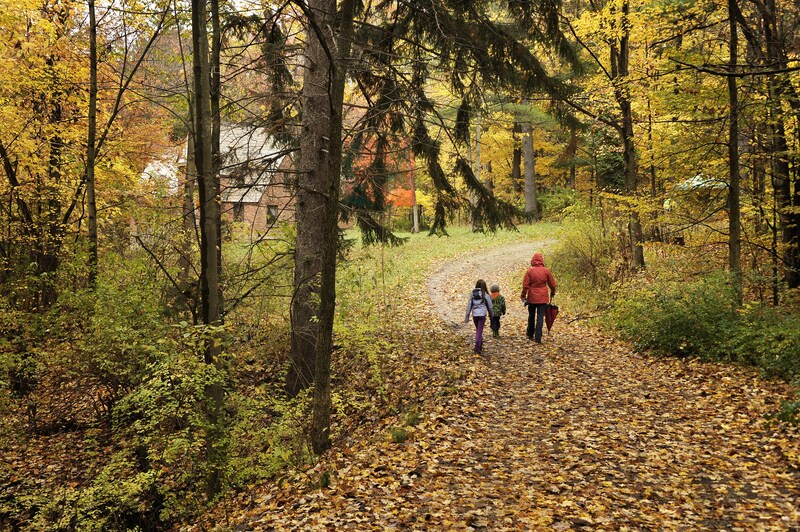 Orchard Hills Preserve, Geauga County: The Land Conservancy helped Geauga Park District purchase, preserve, and restore the 237-acre former Orchard Hills Golf Course into a public park. Read more. Hach-Otis Sanctuary Expansion, Lake County: The Land Conservancy partnered with the Audubon Society of Greater Cleveland to acquire and permanently preserve 80.5 acres in Lake County, doubling the size of Hach-Otis Sanctuary and State Nature Preserve. Read more. 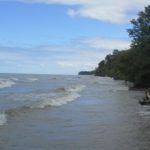 Lake Erie Bluffs, Lake County: We worked with Lake Metroparks and many partners to acquire and conserve two miles of stunning beach and bluffs along the Lake Erie shore in Lake County. The 600-acre park is a coastal destination for outdoor enthusiasts. Read more. Indian Hollow Reservation Expansion, Lorain County: In 2014, the Land Conservancy teamed up with Lorain County Metro Parks to purchase the 97-acre former Royal Oaks Golf Club in the village of Grafton in order to expand Indian Hollow Reservation. Read more. 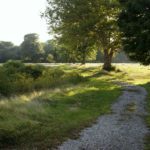 Medina Marsh, Medina County: The Land Conservancy worked with Medina County Park District to acquire the 87-acre Medina Marsh property which is now open as a nature preserve. Read more. 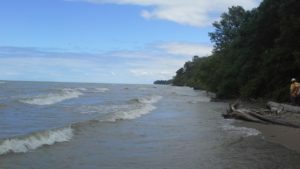 Lucien M. Clemons Park, Ottawa County: Through a partnership with the Village of Marblehead, the Land Conservancy acquired and permanently preserved 2.3 acres of lakefront peninsula which now provides public access to Lake Erie. Read more. 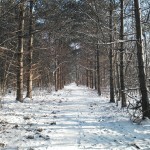 Burton D. and Margaret Clark Morgan Preserve, Portage County: The Land Conservancy worked with The Burton D. Morgan Foundation and The Margaret Clark Morgan Foundation to create the 504-acre preserve for the Portage Park District. Read more. 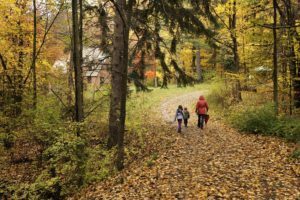 Richfield Heritage Preserve, Summit County: The Land Conservancy worked with the Richfield Joint Recreation District to acquire and open this beautiful and historic property to the public. Read more. South Akron Greenway, Summit County: In 2010, the Land Conservancy worked closely with Lockheed Martin Corp. and others to restore Haley’s Run and create the Haley’s Run trail. We continue to work with partners on the future restoration of nearby Adam’s Run. Read more. Once a project is identified and deemed feasible, the Land Conservancy often coordinates complex fundraising efforts – from preparing public funding grants to raising private philanthropic funds – to make the project a reality. The Land Conservancy can move quickly, sometimes taking on significant risk, to acquire properties. Once acquired, the Land Conservancy transfers these properties to our local partners to manage. 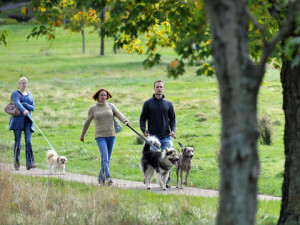 After the creation of a park, the Land Conservancy maintains a close working relationship with park districts and municipalities to provide long-term stewardship. Learn more about how we create public parks and preserves.